March 16, 2017 March 30, 2017 by Jaime S. G.
Of course, my knee jerk reaction is to say, “nothing.” While that is true in the sense that she isn’t currently sick, what they are really asking is, “why is she different?” To be fair, the people who have asked know that they are dancing on the line of a sensitive topic and do so with the best of intentions. They are asking to better understand Lyra, and there is nothing inappropriate with HOW the question was stated. I would rather have people ask than stare or avoid my daughter… But a little part of me still hurts when I hear those words. The past month or so I have had a number of these moments. Recently I went to the zoo with two long time friends who have little boys about Lyra’s age. These two women are wonderful and never make me feel uncomfortable about Lyra. The moment that was hard was when we found a play area where the kids could run around and get the wiggles out after being in their strollers. I put Lyra on the ground in the play area with her ever present backpack. I had hoped she would get to engage with other kids and maybe crawl around a little. As we watched 10-15 other kids run, laugh, and make momentary friendships, Lyra sat at my feet and just watched. I saw other parents notice the tubing sneaking out the bottom of her pants to her backpack. I saw children look at her, then turn away, not interested in making that fleeting bond kids seem to make when running around a playground. Soon she will be getting another new accessory. Leg braces. Of course I am not self centered enough to put off getting her something she needs. I even picked out cute ones with lady bugs. But it’s still hard. It’s another thing that will prompt people to ask “what’s wrong with her?” It’s another barrier to her blending with her peers. Now, there is a flip side to all of this. There are also times when I am frustrated that people disregard the fact that she is not an average child. I know that it seems contradictory to want her to both blend in with her peers, and have her special needs be acknowledged. However, one is wishing things were different; and the other is living with her reality. The reality is that I don’t have an average child. 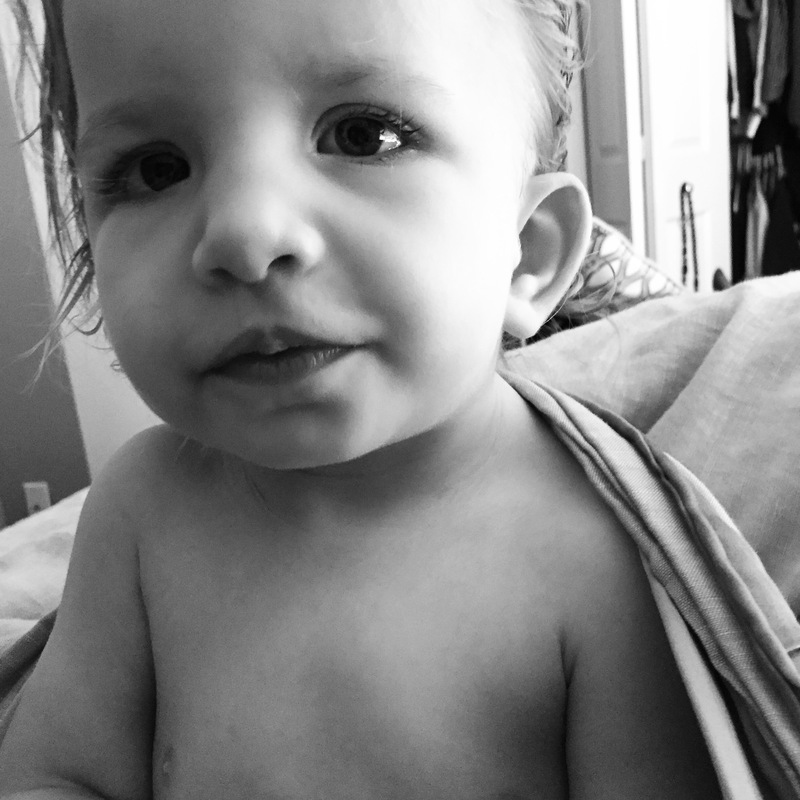 I have a child who still doesn’t say “mama” or “daddy” (or really communicates). I have a child who doesn’t eat the meals I cook. I have a child who doesn’t walk and will likely need assistance if she does. But much of the time I try not to think about that. 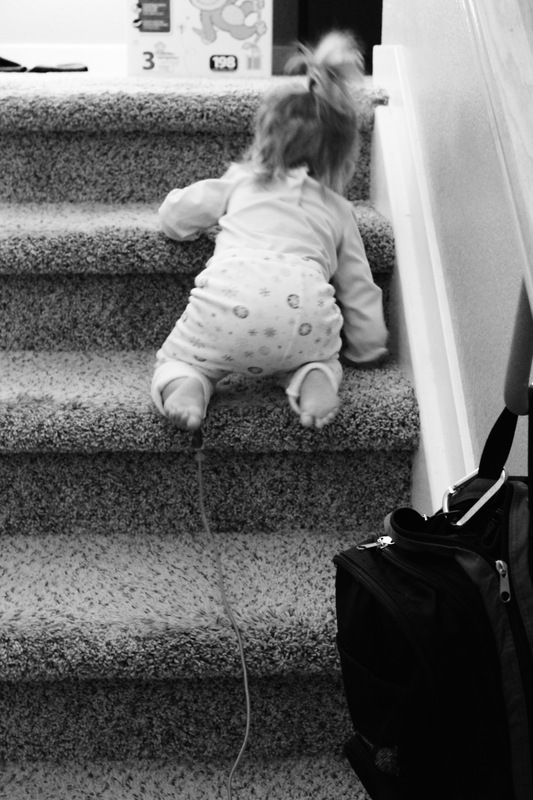 I also have a child that learned how to climb stairs. A child who still thinks peek-a-boo is the best game on earth. And a child who throws herself with reckless abandon at the world (and off the couch) because she knows mama and daddy are always there to catch her. Thanks for sharing your keen insights through this blog. Thoughts and prayers for your family.